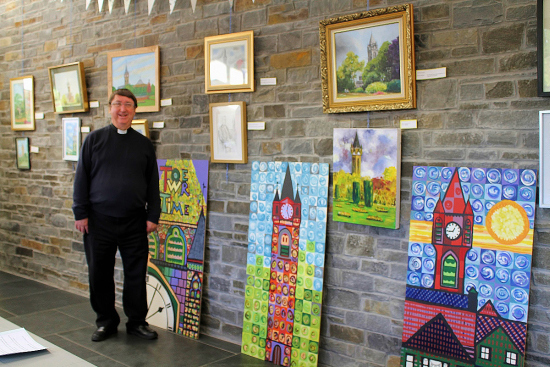 The Art in the park exhibition which took place on Sat Nov 30th at Victoria Gardens community centre was opened by Canon Stephen Ryan, Rector of Neath. Sarah Mayberry-Thomas, Audience Development Officer -Victoria Gardens thanked all the artists who participated, and gave a talk on the various artists work. 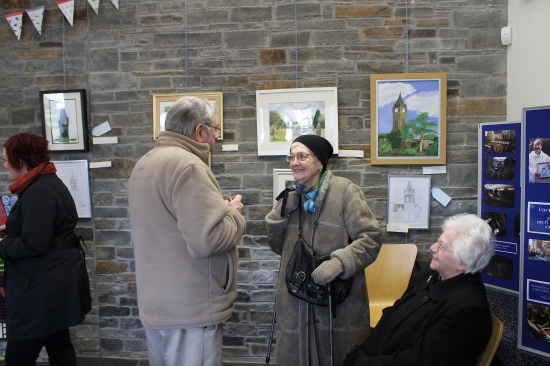 Local artists of all ages got together during the summer to paint Victoria Gardens, including St David's church which had to include the tower. Some of the artists having a chat. View the full slide show here, and watch the artists in progress.